For approximately the past 10 years, the Federal Communications Commission (FCC) has had an ongoing rulemaking proceeding to examine the 4.9 GHz (4.94–4.99 GHz) public safety spectrum band and to modify the rules under which that band is regulated. 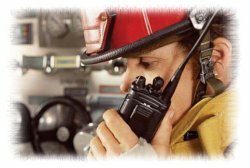 This proceeding has yielded multiple Notices of Proposed Rulemakings (NPRMs) from the FCC, with multiple rounds of input from NPSTC, others in public safety, and the industry. However, to date there have been no major FCC decisions issued to modify the rules. On March 23, 2018, the FCC released a Sixth Further Notice of Proposed Rulemaking (FNPRM) in Docket WP 07-100 regarding the 4.9 GHz public safety spectrum band. Notice of the Sixth FNPRM was published in the May 7, 2018, Federal Register, which set the comment deadline as July 6, 2018 and Reply Comment deadline as August 6, 2018. The Sixth Further NPRM is comprehensive and endorses much of the input from the NPSTC 4.9 GHz National Plan Recommendation filed back in October 2013. It also recognizes the subsequent APCO Task Force Report on 4.9 GHz submitted September 2015. However, the FCC has indicated its belief the band is lightly used and even before the comments have been received, some of the Commissioners have expressed strong interest in repurposing the band for commercial use and auctioning the spectrum. The Sixth FNPRM has additional details and key questions on both policy and technical issues to which NPSTC plans to respond. NPSTC re-established its 4.9 GHz Working Group, which has held five calls to discuss and help address the issues raised in the Sixth FNPRM. The input received is being used in crafting NPSTC's Comments, due to FCC by July 6, 2018. FCC Sixth Further Notice of Proposed Rulemaking on 4.9 GHz: NPSTC approved and submitted reply comments to the FCC on August 6. The reply comments address the lack of any interest in the band by commercial carriers in the initial round of comments and also provide additional insight on sharing of the band and other issues as addressed by some commenters. Previously, on July 6, NPSTC filed first round comments that addressed the numerous policy and technical issues the FCC raised in its Public Notice. The NPSTC comments seek to set the record straight with a more accurate picture of current and potential usage in the 4.9 GHz band. The Commission's stated calculation that no more than 3.5% of the potential licensees use the band has apparently created the misimpression that very little of the band's capacity is in use. NPSTC comments examined the 3.5% calculation and presented more relevant statistics and sample use cases on existing public safety operations in the band. The comments also addressed emerging technologies used in public safety such as UAS, robotics, and public safety IoT, for which 4.9 GHz would be beneficial.